In this business, there is no substitute for experience, experience is the only teacher that will enable a person to fully understand what it takes to produce a quality die casting. At Appalachian Cast Products, we are diecasters with decades of experience. While our skills cover many disciplines, we recognize and understand that the bottom line in this business depends primarily on our ability to provide our customers with top quality casting, on time, and at a price that is competitive in this industry. We also realize that competitive pricing is not a result of scrimping on equipment or technology, but is accomplished by utilizing the latest in technologies to increase efficiencies and simply out perform the competition. Toward this end we will utilize the latest in die casting equipment, set up in a efficient “cell” arrangement to assure that every activity is optimized and that the efficiency of our equipment and personnel is at the highest level in the industry. 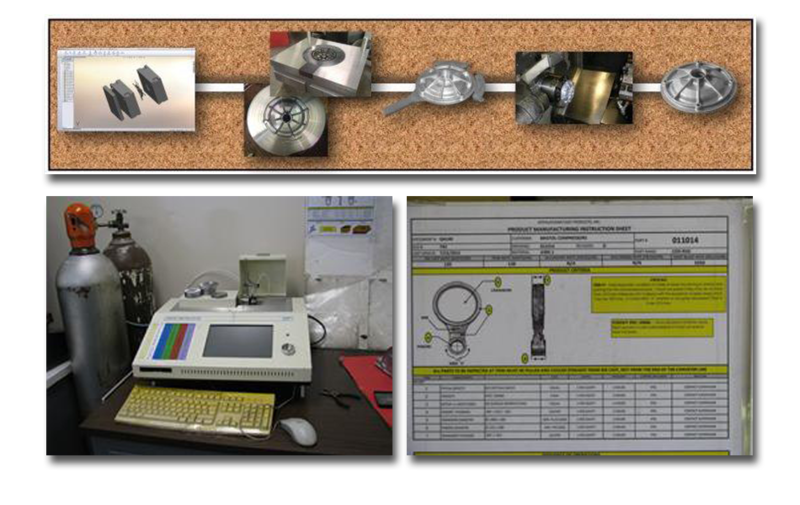 As with all process, success in die casting relies on the development of a process which is capable of producing a quality product, studying and truly understanding that process, and continuously monitoring that process to assure that the parameters established are maintained and consistent. Additionally, such a process must be managed in an atmosphere of continuous improvement and team work. A strong team must be built to assure that all personnel remain focused on the task of providing our customers with the highest level of products and services. The technological advances in the die casting industry over the last several years have allow diecasters to fully understand our process and continuously strive for improvements in quality and efficiency. The elements of the die cast cell have change over the years to include robotics for molten metal delivery, application of die release agents, and extraction of castings from the mold. In addition to these refinements we are also dedicated to the use of process monitoring and control equipment to assure that our processes are consistently maintained. However, as automated as this business continues to become, the primary factor in the success of a die casting business remains the people who develop, control, and manage the process.